In a tumultuous election year—such as the one we are experiencing now—Christians may be tempted to stay away from the ballot box. In the everyday political discussions Christians may have with family, friends, co-workers, and strangers, it is often tempting to throw our hands up in the air in desperation and threaten to withhold our vote this time around. Often this is just the easy way out, a way to avoid thinking through extremely difficult and nuanced positions. People often forget that no matter how bad the candidates may seem, not voting also carries with it negative consequences that must be considered. 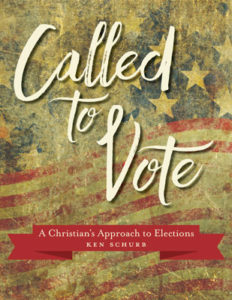 In CPH’s latest Bible Study—Called to Vote: A Christian’s Approach to Elections—Ken Schurb provides four lessons on the Christian citizen’s relationship to American politics. In the first three lessons, Schurb discusses the distinctions made by Christians (and God’s Word) that must be kept in mind while voting: the difference between God’s Word/human opinion, that God rules in two distinct ways (which correlate to Law and Gospel), and the distinction between being a ruler and the one being ruled. The fourth and final lesson prompts Christians to take concrete measures to provide for the welfare of their neighbor. 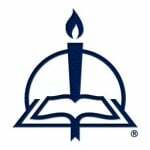 For Christians wondering how they should approach this election season, Called to Vote provides the basic Christian view of the political process necessary to make informed decisions in a way that will best serve our neighbor. The lessons learned here will last way beyond 2016, providing American Christians with the rationale needed for political involvement at the local, state, and federal levels. Now’s the time to start thinking clearly about these things.